Prior to race weekend, Pit Chat learned that Claire Williams loves a good swear. This clip emerged from a Williams documentary, back when they were battling Ferraris and not themselves at the back of the grid. Sigh. But Claire is not the only one who loves a good swear in the heat of the moment. Toro Rosso’s Brendon Hartley is at it as well as he tries to save his Formula 1 future. 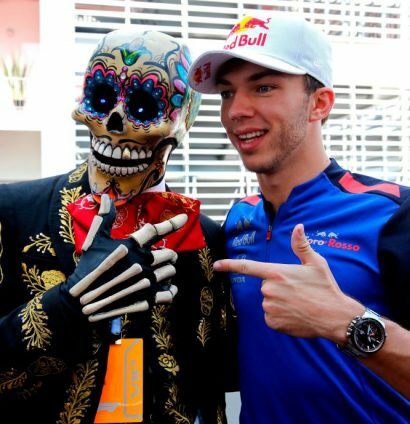 Poor Brendon, he is trying anything he possibly can now to try and stand out against Pierre Gasly. It’s an early stop into Kimi corner because we cannot wait to show you two hilarious interviews that took place in Mexico. 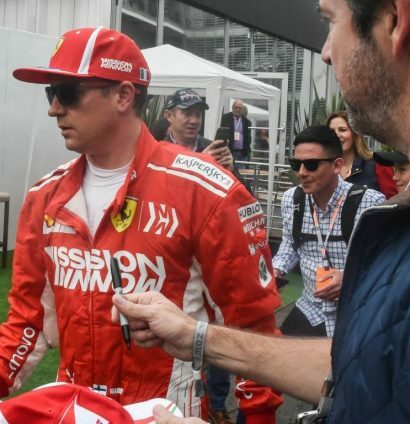 And, if you are going to interview Kimi, then a format which only requires a one word answer is the perfect way to go about it. Only then, you can’t shut him up! Of course Kimi throws his phone into water to avoid being contacted. 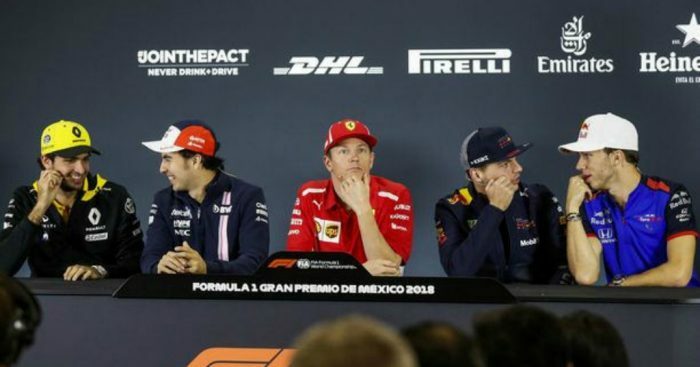 And, with Kimi winning in Austin, he was unfortunately a shoe-in for the Drivers’ Press Conference in Mexico City. He looked thrilled to be there as always. It’s an honour to be sitting next to Kimi, you can even use some of his special powers. 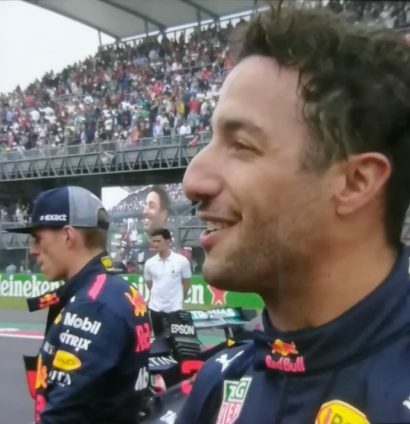 Here is what 0.026 seconds looks like after Daniel Ricciardo spoiled Max Verstappen’s pole position party. And here is what pole position to an EIGHTH race retirement of the season looks like. 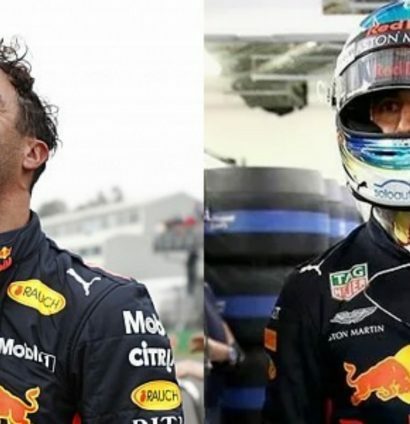 What’s more broken: Ricciardo or his car? 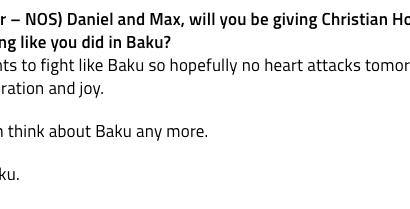 Comments like this from Dr Helmut Marko are certainly not going to help. At least we saw Daniel be more like his usual self with one of the quotes of the season. A stunning choice of words. Although the person in charge of the FIA transcript needs to brush up on their memes. 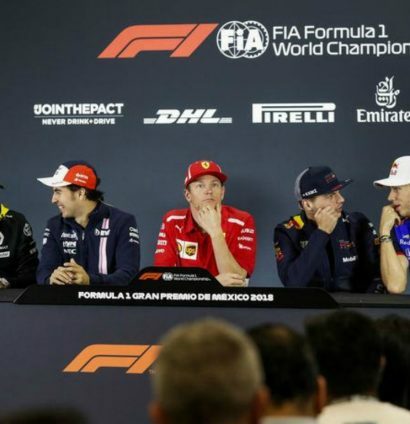 After seeing a historic pole position snatched away from him, Verstappen was accused of throwing his toys out of the pram, labelling his whole qualifying as “crap” and taking his frustration out on a defenceless numbers board. Don’t knock the board over, Head of F1 Communications for the FIA, Matteo Bonciani, takes it to heart every time. 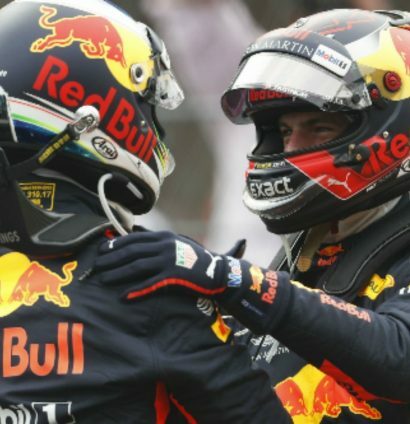 But, despite Verstappen’s frustrations, there was this moment between the two Red Bull drivers to show the Dutchman isn’t a big baby after all. It is completely fine to be annoyed at missing out on pole position and being happy for your team-mate at the same time. Contrasting emotions are allowed to exist. 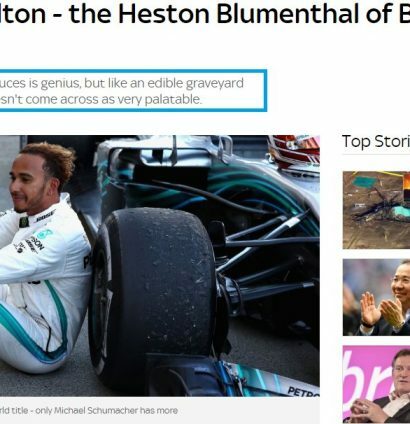 We have known for quite some time now that Lewis Hamilton was going to be World Champion. Bookmakers stopped taking bets on a Hamilton win with Dave Thompson from topbettingsites quoted as saying ‘it’s been a while since anything has been so set in stone, it’s rare the bookies won’t even offer odds anymore’. Alongside that media outlets all over the world had their fingers twitching over the publish button with their hot takes once it was all confirmed. Perhaps some analysis on where he ranks as one of the all-time greats, perhaps? Pondering whether he can match Michael Schumacher’s seven World titles, maybe? Just a ‘well done’ would have sufficed. Thankfully Sebastian Vettel was on hand to show everyone how it is done. And this is an utterly brilliant gesture. He seriously did not need to do that. 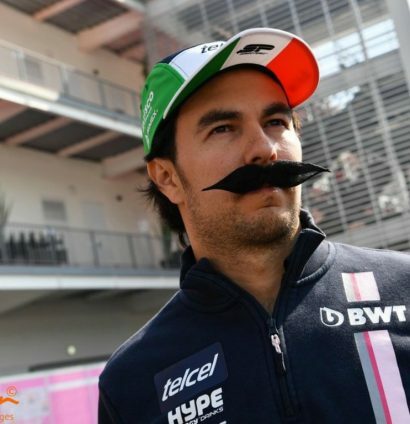 Sergio Perez is going to need to a better disguise to avoid being spotted by his adoring home fans. Those very difficult title permutations forced the Formula 1 stat bots to have a meltdown. Force India boss Otmar Szafnauer gets a good laugh from the press. Not always an easy thing to do. We’ll let Will Smith have the last word. Who else? Not because we enjoyed it, though. Looking back at the radio transcripts, Hamilton didn’t even hear it. It was added in purely for TV viewers and was clearly meant to be used in Texas. You are doing good things, Liberty, but please stop with this Hollywood fascination and fakeness and let these big moments happen naturally.